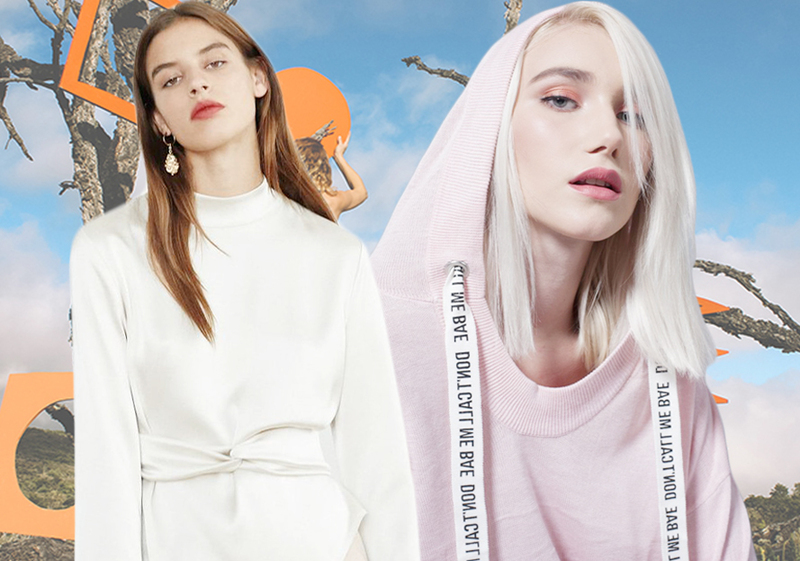 More and more athleisure loungewear can be worn outdoors. People enjoy staying at home after work. The stylish loungewear enables them to take out the trash or get take-out food. Skin-friendly silk loungewear is a must-have in winter. 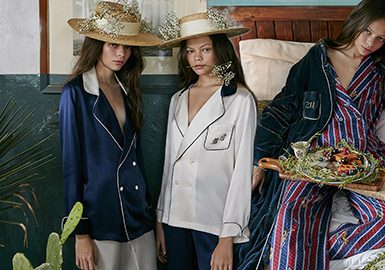 High-quality pyjamas become sartorial and sporty. Sartorial design will gain popularity. Bicolor collars brighten winter, fun welts are decorative, while loose flare sleeves give a relaxed feel. The leading role of the American drama The Marvelous Mrs. Maisel dresses herself immaculately. She prefers 50s retro styles. Mrs. Maisel is strict to herself, measuring BWH every day to keep them unchanged for ten years. She lives an exquisite life. Women as perfect as her even wear elegant garments at home. Modern females attach importance to loungewear, driving the prevalence of upscale and delicate design. 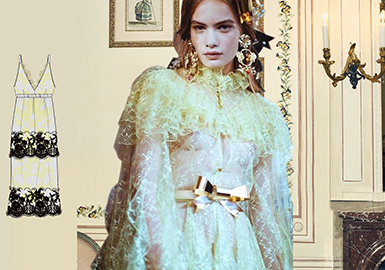 Lace dresses will gain popularity in S/S 2019.